There tends to be a bias in sports management that favours the player you picked over the player you inherited. It makes sense. After all, you fell in love with your player. The other player is an arranged marriage sort of thing. You might eventually love them, but it's going to take work from both sides. Sometimes one or neither side is willing to put in that work though and the relationship dissolves without ever having had a chance. This brings us to the case of Quillan Roberts and Alex Bono vs Greg Vanney and Tim Bezbatchenko. The latter fell in love with the man who's last name will forever evoke bad U2 puns. That left the player they call Q, a player carefully brought up through the TFC youth system for years, sleeping on the couch. 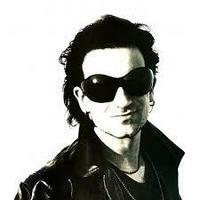 It's easy to understand why they fell for Bono. He's a tall, strapping American that came from the cult of 'Cuse. He even played in the US youth system! And man does he practice well. Talk to anyone. They will go on and on about how good Bono is in training. How could Q stand up? He's just some pint-sized kid (for a keeper) from Brampton. Didn't even play college soccer. And, don't try to compare a full Canadian senior cap and having played at every level of the Canadian youth set up to the US system. Pfft. Tim and Greg had made up their minds the second they bizarrely used a first round pick on a keeper three years ago. The Fly was their man. Everything that happened after was designed to bring Bono forward over Q. Even though the academy product was by far the better keeper in USL in season 1 of TFC2 it was Bono that was given the longer look in the second pre-season. Even though Q was performing at an equal level to Bono in USL last year when Clint Irwin went down with the injury it was Bono that got the call. The management claimed that it was random fate and that he earned the next start through his MLS performance, but the googly eyes towards their boy from Syracuse betrayed them. It was also hard to argue that Bono earned the next start since he was directly at fault for the winning goal in his MLS debut appearance. It's old news now, but why Q didn't get at least one start during the stretch that Irwin was out isn't defend-able to me. The two players were not distinguishable in their development at that point and to not give your academy product at least one look never made sense to me. If they had given him a look last year he might have been willing to sign a USL contract this year. Instead, Q is out of contract and looking to find a team that will give him another shot. Meanwhile, TFC finds itself in a bit of a goalkeeping pickle, with Irwin's second injury in as many years. Regardless of whether you're a Bono Believer (and, I'm not fully there yet. To me he directly cost TFC five points last season and, as much as I recognize he's a decent shot stopper, I don't fully trust his mental game yet), you have to recognize that the Reds are screwed if he gets hurt. Unless you think Angelo Cavalluzzo is ready to be a MLS starting keeper (or, more likely, you're OK using a MLS pool keeper). Look, Bono may turn out to be what Vanney and Bez think he is. All I know is that there are as many people out there that share the same doubts as me as there are those that fully trust the kid. And, I'm not going to give Q a full pass either. He didn't get a fair shot in my mind, but there was also suggestions that he didn't fight hard enough after it became clear that Bono was favoured. My issue isn't really with Bono, but rather the blinders that appeared to be on TFC management when they made the decision that he was the better long-term bet than Q was. It speaks to a bias that many in the local soccer community see with TFC and, so long as the perception is out there, it could hurt TFC on the local recruitment front. Is that bias -- that they trust kids drafted from the NCAA over kids developed here and are more willing to give them the benefit of the doubt -- real? In fairness, Raheem Edwards is proving that they aren't going to ignore players from the system if they make them stand up and take note. However, perception is reality and it's going to be hard for some in the local scene to forget what they feel was unfair treatment of one of TFCA's longest serving players. The Montreal Impact will be without the service of their star Designated Player Nacho Piatti on Saturday versus Chicago. Ignacio could be out several weeks due to a groin injury. Can the Impact create quality goal scoring chances without the Argentinian in the lineup? Can the Impact capitalize on their looks on goal with a depleted lineup? If so, Montreal could come out of Toyota Park with a favorable result. In this case, I would consider a draw on the road a favorable result. If not, a tough afternoon at the office it will be. The Impact are 17th in MLS for shot attempts. The ratio of attempts vs on target is respectable (26/10). To compensate for the clinical finishing skills of Piatti during his absence, the Impact needs to put the odds in their favor literally and raise the amount of shot attempts, hopefully on target. It will not be easy and with the injury to Patrice Bernier, the service coming from the midfield could struggle, but raising the amount of shot attempts could raise the probability of goal scored. It will be a big day for the Fire, to say the least. Bastian could play, but will doubtfully start. Dax and Juninho are the two key Fire players you need to cover at all times. The revamped midfield for Chicago has already paid dividends this year and with all the new eyes on their product on Saturday, they will want to put on a show! If Montreal can stifle the Combustible Duo like they successfully stifled David Villa two weeks ago, Montreal could pull off the result on the road for a second straight game. People love lists. Journalism schools likely teach list making now. Instead of going on a rant about the death of journalism - I'll save that for Facebook -- CSN is going to embrace it with the debut of this new feature. The Big List will rank things. Sometimes 10, sometimes 8, sometimes 15. Whatever I feel like when I write it, basically. Today, it's 10. The reason it's 10 is because there's literally only 10 of them to rank. The subject is the best 10 TFC home openers. Let's start with the cold. Oh my God was it cold. Some will argue that the 2011 opener versus Portland was colder, but they'd be wrong. This game was literally the worst. There was a wind blowing every direction that was lifting supporters of the ground as they tried to hold up the pre-match tifo. Awful. Just awful. And, that's without talking about the game itself. Toronto gave the expansion Sounders their first ever road win (what's it with TFC and it giving Seattle the first of things?) in a absolute garbage performance. Three years in this was probably the game that ended the keg party buzz that had lasted through the first two seasons of TFC. It was the buzzkill game. The Danny Koevermans "The Worst Team in the World" comment was still weeks away but the writing was on the wall. The scoreline says it all, although it was going to get far, far worse (hell, the Columbus game a week later was more depressing). The year 2012 was just bad. After 600 weeks on the road and coming off a two game winning streak that had fans giddy the debut of Giovinco was a bust. They were flat and uninspiring and the fans left thinking that maybe this wasn't all fixed yet. They won. So, that was nice. But a 12:30pm start and an uninspiring opponent (no offense to RSL, but there is literally no rivalry there) lead to a pretty forgettable game. Seriously, try to remember the game. Falling in the middle of a three year stretch where TFC opened against an expansion team (which was probably by design to help poor Toronto out) there wasn't much to get behind in this one. Preki ball was also terrible to watch at the best of times. It went better than the last game at BMO Field in 2016 for sure. After the disappointment of the 2015 opener this game was a relief to fans. Pretty nice win over a very good team though. The earliest game in BMO Field history and it turned out to not be that cold. Also, Jermain Defoe scored the winner and fans thought this was finally the year. Nothing possibly could have gone wrong from there! By far the best performance of all the openers. And Javier Martina! Man, what a goal. Then a brace!! Aron Winter's first game in charge at BMO Field was very likely his best. But, it was cold. Not Seattle 2009 cold, but damn cold. When this game was announced many supporters hated it. BMO Field is our home, they said. SkyDome is where the Argos play (And always will, right?) But it turned out to be a lot of fun. A good sized crowd and actually getting to see the team that early in the year almost makes me want to go back to The Dome again. Almost. You never forget your first. Yeah, they lost, but the memories of that day are truly magical. The shaking of the stands, the beer throwing woman, singing "all we are saying is give us a goal," and the realization that it was all very real. I get emotional just thinking of it. The Vancouver Whitecaps pulled the trigger on a significant trade today, sending Kekuka Manneh to Columbus for Tony Tchani, $225,000 in TAM and $75,000 in GAM. The move is a difficult one to fully handicap until we know what the Caps plan to do with the allocation. We can assume that they are looking to address the attack with a TAM player, but the Caps have surprised us before. The GAM is also likely tied into bringing someone in, with the TAM largely covering the transfer. 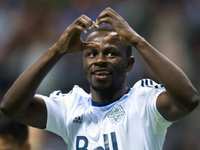 In moving Manneh, Vancouver have parted ways with one of the league's biggest enigmas. There have been days where he has looked like a potential Best XI player in the league and there are days when he was mostly invisible. However, his speed down the wings was a big part of what the Caps did on attack and there isn't an obvious way to replace that without assuming that a 16-year-old is ready to play 34 games in MLS without a mental or physical break-down. That's a lot to ask of Alphonso Davies. Tchani isn't the same player. You can likely assume he'll line up beside Matias Laba and give the Caps a fairly tidy looking cover in front of the back-line. Tchani is also a decent passer and, if Davies or someone else steps up to create similar width as Manneh did, then he could turn out to be a nice piece. Still, it's hard to ignore the Golden Rule of evaluating a trade -- who got the best player? That would be Columbus. The only caveat to that is whether said player is going to stay for the long run and there is indication that Manneh is looking longingly at Europe. His stay in Ohio may not be long. There are reports that the Caps negotiated a sell on clause in the trade and will receive some of the allocation money provided if the Crew do sell him. Bottom line: The Whitecaps haven't looked right since about July of last year. Manneh was a huge part of their identity as a club and it might just have been time to shift gears. The Crew, meanwhile, think of themselves as a contending team in 2017 so a short term rental makes sense for them. Until we see what the Caps do with the money, let's call this one a draw. John Herdman has named his roster for two upcoming friendlies in Europe. In continuing a recent trend, the team is quite young, with 14 players younger than 23 and six teenagers. That includes a 15 year old. Only three women on the roster have clear memories of the 1990s. Canada will play Sweden April 6 and Germany April 9. When the news was finally confirmed it was no longer news. More than two years after CSN first reported that Canada was working towards its own league, current CSA president Victor Montagliani out right confirmed it on Red Card Radio last week. "The league is a go," was how he simply put it. Two days ago, the Halifax regional council released a document that detailed plans for the creation of said new Canadian league. August 2018 was listed as the start date, with a May 2017 announcement suggested. Alright, now that that's out of the way let's instead focus on just how important this confirmation is. Simply put, it is the single most important accomplishment of the CSA in 31 years -- bigger than bringing WWC 2015 here, bigger than the 2007 U20 World Cup and much bigger than helping get MLS established in the nation. Make no mistake, all of those things mattered. There is no CanPL without them. They laid the groundwork that created an environment that allowed the CSA to even dare to dream of something so outlandish as starting our own league. When Canada landed the 2007 U20s -- around the time Christine Sinclair was introducing herself to the nation at the also important 2002 women's U19 event -- the idea of a national league was dead in the water. 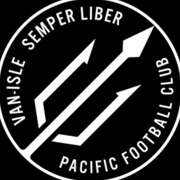 The CSL had failed and with it any chance of ever having top flight soccer in this country was seemingly buried with it. Even the idea of having a single MLS team seemed far-fetched (partly because no one was betting on MLS lasting long-term either). But, a new generation of Canadians was starting to enter their peak spending years and the older generation -- the generation that thinks soccer is a commie sport, mostly -- was starting to lose its grip on power. Suddenly, the Gen Xers and the generation that we now call millennials were to be paid attention to and that generation didn't have the same hang ups about soccer that their parents and grandparents did. They grew up playing the sport in the boom years of the 1980s and '90s and then later in their living rooms in video game form (make no mistake. EA Sports has played a vital role in popularizing soccer in North America). Those young(er) fans packed bars, pubs and cafes every two years to watch the World Cup and Euros. Still, the older generation said that they would never watch the game outside of those big tournaments. It's just a party, something to do while waiting for the NHL season to start again, the grumpy boomers said. Except those same fans were starting to buy Juve, Manchester United and Real Madrid strips and show up at all hours of the day to watch European games. Yeah, but they won't support teams from here, grunted the talk radio shock jock. Then BMO Field opened and fans made Toronto FC the hottest ticket in town. Vancouver then Montreal followed and years later nearly 100,000 watched the Impact and TFC play for the Eastern Conference championship over a wild two legged tie that will probably be referenced by an 18 year old rookie in 2022 as being the reason he or she decided to become a professional soccer player. Yet, the old voices remain and are now telling us that the CanPL can never succeed. This is despite soccer proving the doubters wrong at every step of the way over the past 25 years. It's time to shout them down. The burden of proof no longer lies on the side of the soccer-lover. No, it's the soccer-doubter that needs to show their work. I suspect their work would include references to the NASL, New York Cosmos and Pele before it drifted off into a 40 minute rant about how music was better when Meat Loaf was on top of the charts. The sport has fans -- huge fans -- in every corner of the country. Sure, many of those fans support one of the three MLS teams (or another level team), but more than enough either don't live near a MLS/NASL/USL team or are open to supporting both their current team and a CanPL side. This isn't 1992 and it sure as hell isn't 1984. There are people in Calgary, Winnipeg, Halifax and more than have seen the Southsiders, UM02, Red Patch Boys or (insert your supporters group here) and want the same thing for themselves. The new CanPL teams will find their fans and the teams have enough money behind them to allow the initial fan base to grow to a point that no one will ever fear for the long-term health of the league again. One of the underappreciated goals of the CanPL is to bring the game to more fan's back-yards. We focus on player, coach and referee development -- and clearly that is very important -- but the reality is that spreading the sport to every part of the country is probably the single most important thing the CanPL will do. Putting pro soccer in smaller markets is a goal in of itself, but it's not like having those pockets of passion isn't without a player development angle too. Just look at the amount of young American players that currently talk about how important going to MLS games was to developing their love of the game. That will hapen with the CanPL too (and already is happening with the three MLS teams). The CanPL is going to happen. And, It's going to succeed. It's time to embrace what is possible and stop looking for what might go wrong. Most of all it's time to embrace the undeniable -- soccer in Canada doesn't need the approval of the mainstream to be relevant. It is the mainstream now and has been for at least a decade. Against one of the best offense in the Eastern Conference, the Montreal Impact defense was able to keep their discipline and shutout David Villa for the first time at home this season. Even though his play was instrumental to Wallace's goal, David Villa was kept off the score sheet for NYCFC. It could have been better, of course, but a 1-1 draw at Yankees Stadium versus an offense who had put 4 goals past DC United's goalkeeper last week is an accomplishment unto itself. It wasn't pretty, but Montreal was able to keep the score close. Montreal was dominated in the first half but with a mix of blocked attempts on goal and bad accuracy by the trio of Villa-Moralez-Wallace, the Impact kept the result in striking distance. Even though they conceded a late goal in the first half, the Montreal defense was more disciplined and focused than in the previous two games. No early yellows (no yellow card period for IMFC's backline), no dangerous or questionable tackles in the box, so basically, a very well rounded performance by the defense. Their best of the season. What really caught my attention once again was the performance of the defensive midfield and Patrice Bernier. The assist of Bernier on Montreal's equalizer scored by Dom Oduro at the 68' is a sight to be seen! A great read of the play, followed by a pinpoint accurate lob pass to Oduro, bypassing the entire midfield of NYCFC (Pirlo included) to create the scoring chance that would become Montreal's first away goal in 2017. 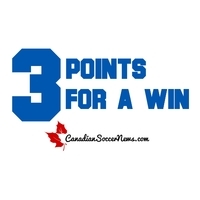 Montreal's control of the midfield late in the game Saturday gave them a few chances to score the game winner, but a post by Piatti and a few great saves by Sean Johnson kept it at 1-1. Going back to the captain, Patrice Bernier's play has been outstanding in the last 2 games; from ball possession control to controlling the pace of the game, to creating time, space and looks on goal for his teammates, Patrice has been the spark of the offense in 2017. Since the snafus of the first game, the ball movement in the midfield has been excellent. High 80s and 90s of passing accuracy, controlling the tempo of the game, finding the open men on the flanks and using them to move the block forward, all adjustments and directives by Mauro Biello that have been well executed by the Montreal Impact midfield. Even with the late switch on the starting 11 of Marco Donadel for Callum Mallace, Marco "felt something" during the warm up, the midfield accomplished its mission of giving opportunities to the offense to be, no pun intended, impactful. All in all, 1 point at Yankees Stadium, 1 goal conceded and good game adjustments and substitutions by the manager made for an appreciated trip to the Big Apple by the players. A win was possible, even probable with the pressure Montreal was putting in late, but a draw is manageable and hopeful for the next few difficult games ahead. The Montreal Impact defense have already racked up 4 yellow cards in the first 2 games, particularly early in the first halves ( Camara, Duvall and Ciman). On top of exposing your team to the risk of having a player sent off, those early yellows affect the way the player on notice approaches his tackle opportunities. On a very small pitch like the one at Yankees Stadium, the fraction of a second loss to hesitation from the defender on notice can prove quite costly and before you know it, you find yourself defending David Villa in the box . You add the Laurent Ciman 76' foul in the box against Seattle and you have a situation where after 2 games, 3 precious points were lost due to the lack of discipline by the Montreal Impact defense. For a positive result this Saturday in the Big Apple, patience and discipline are the directives for Montreal's backline. Last week, the midfield executed very well the game plan of having the ball and transitioning it successfully higher up the pitch, creating breakthroughs in Seattle's defense. The passing accuracy of the three defensive midfielders (Bernier 84.6% Donadel 91.1% Bernardello 93.6%) was quite impressive and quite an improvement from week 1. This is even more important in an environment like Yankees Stadium, where the edge of the box and the midfield line are not that far apart. If the defensive midfield trio of Montreal is able to replicate the passing accuracy performances of last week you will see a Montreal ball possession transition more efficiently from midfield to the last third of the field, thus creating more theoretical goal scoring chances for Piatti, Mancosu and Co. If it's not one of them, it's all three. The prolific trio that led to four goals versus DC United last week, is the main goal scoring threat for NYCFC. If you can eliminate the threat on New York's left side of the attack by suffocating the service to it, you give yourself a better path to victory. Which brings us again to the battle in the midfield. If Montreal is able to stop NYCFC's transition at the Mattarita and Pirlo level, they might have a shot at suffocating the service to their favored offensive threat. Easier said then done. Former LA Galaxy and MetroStars manager Octavio Zambrano will be named Canadian men's national team head coach on Friday. 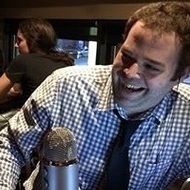 The news was first reported in the Italian source, GazzoMercato. Anthony Totera reported this morning that the new hire would be Ecuadorian. It's thought that Javier Livia will be Zambrano's chief assistant. Zambrano has a .587 career MLS winning percentage as a manager, second to Bruce Arena all-time. He most recently managed El Nacional in Ecuador. The CSA has a St. Patrick's Day surprise for us. Today, Canadian Soccer announced that it was holding a press conference at Toronto's Westin Harbour Castle at 10 am on Amateur Day. The posh hotel is where the CSA usually holds its really important announcements. I met Sepp Blatter there once. Initially this press release got the heart fluttering a little, as it was thought that maybe, just maybe, the Premier League announcement was finally upon us. However, a closer look relieved that it was labeled as a men's national team announcement, rather than an IMPORTANT ANNOUNCEMENT REGARDING THE FUTURE OF CANADIAN SOCCER!!1!1! A little asking around allowed me to safely conclude that Friday's surprise is very likely confirmation on who the manager of the national team will be for the Gold Cup. One source suggested to me that the announcement could be a short term band-aid for just the Gold Cup, rather than a long-term contract. However, most people seem to think the CSA has found their man. As for who that is...? Hats off to the CSA on this one. For once they've kept a pretty tight lid on things. We knew about Benito Floro's appointment about a week out, but so far there is pretty consistent silence on this. One person told me that it was likely that we've not heard of the appointee. They said that he probably won't be Canadian and he might be younger than typical. That would represent the CSA looking for a "Herdman-type" to take over the men's team with a long-term vision and a desire to move to Canada and settle here long-term. 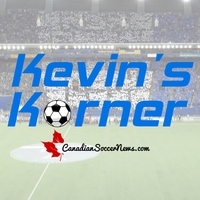 One well known Canadian soccer observer, Anthony Totera, reported today that the manager would be coming from Ecuador. The reality of the CSA's financial situation is that hiring someone that is a bit unknown, but hungry, is likely the smart thing to do. We simply can't afford a name, and a name is unlikely to come to a country that is five years away, at minimum, to a World Cup. 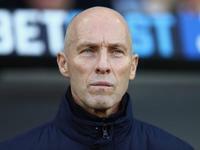 Someone like, say, Bob Bradley. 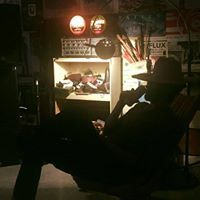 It's been suggested to me that the CSA did, at least, reach out to Bradley and there is an obvious connection to Toronto in that his adorable grandkids (and intense son) live here. That connection has allowed this long shot of a rumour to live despite very strong evidence that he's likely to end up in LA, if he decides to give up on Europe at all, that is. 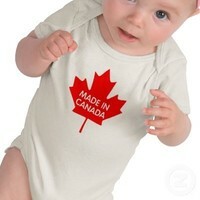 As much as Bradley might make sense for Canada, Canada doesn't really make sense for him. And, by the time it might his grandkids probably won't live here anymore. If any specific names emerge we will update with a new story.